Social networking platform Instagram has just added support for old photos on Instagram Stories. Instagram is one of the most widely used social media platform for sharing images and videos. Instagram Stories is a feature of the app that allows you to share the photos and videos taken less than 24 hours ago. These stories are not shown on the main feed but are shown separately as round pop-ups on top of your feed. Unlike your news feed, the Instagram Stories get deleted after 24 hours of being uploaded. 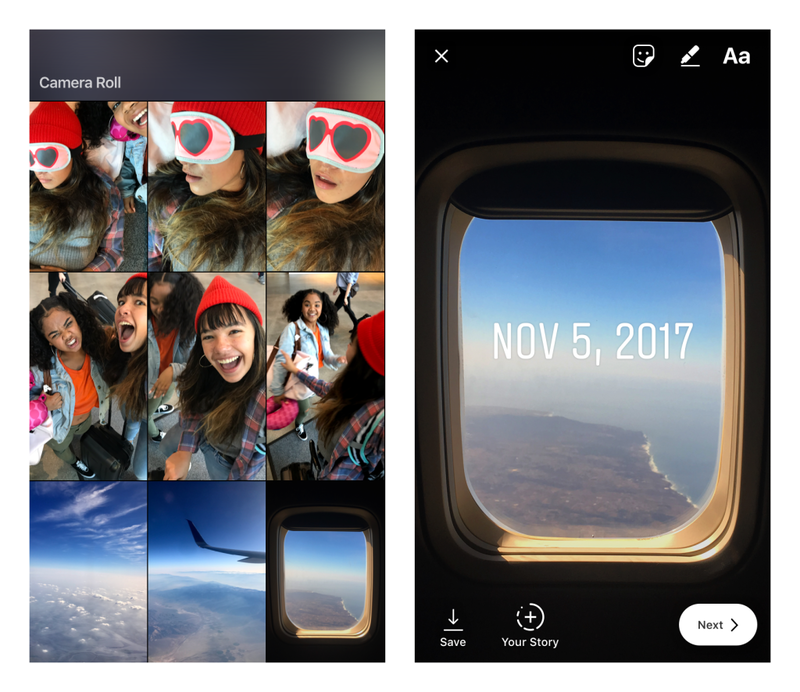 As you already know that Instagram Stories are short-term uploads, there are new additions to it now. Earlier, you could only add photos or videos taken less than 24 hours ago to your Instagram Stories. Now you can add media from any time to your Story. With support for uploading photos and videos older than 24 hours, Instagram has given freedom to upload whatever you want to, irrespective of the time. The added support does not end there. If you select to upload an image that is older than 24 hours then a sticker will pop-up, allowing you to add the context of the image. The date sticker is not permanent and can be customized or removed as per your wish. The update will be available for Android as well as iOS users. For Android users, the update will come from version 18 onwards and for iOS users, it will be added from version 22 onwards. You can get Instagram for free at the Google Play Store or App Store.